Emergencies can happen at any time, there may only be seconds to react! With the touch of a button you or a caregiver will be in contact with an Emergency Care Specialist who will assess the situation and take appropriate action. If you are unable to respond, Emergency Teams will be dispatched immediately. Over 40% of heart attacks are fatal! Our Buttons May Save Your Life. "About Half of those deaths occur within 1 hour of the start of symptoms and before the person reaches the hospital. The key is seeking medical care as soon as possible…"
Fact: Heart attacks, strokes and other medical emergencies often have early warning signs. Do you know what they are? Our nurses can tell you! Fact: In many cases emergencies can be addressed days in advance. 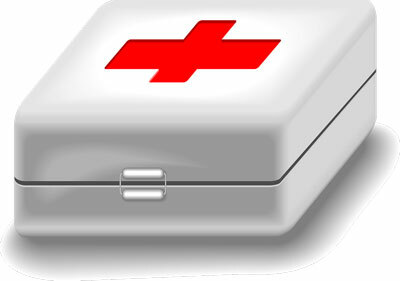 Only Independence Solutions provides two buttons: One for medical emergencies and one for Nurse Line Help. Need advice on a bad headache? Need help for a sore throat? Press the RED Emergency Button. Our Care Specialist will talk to you through the Independence Solutions Console. If this is a medical emergency, or if you do not respond, Emergency Medical Teams are dispatched lo your home. Only Independence Solutions provides emergency response and PREVENTATIVE CARE!